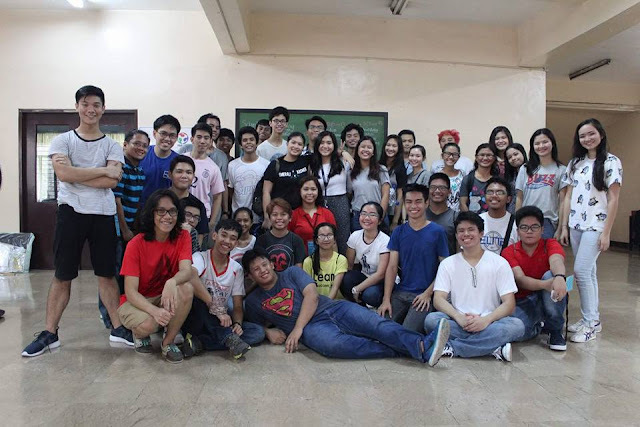 This 2016, the annual Discovery Science Camp brought to you by Integrating Science in the Philippines (ISIP) returned to Philippine Science High School Main Campus for a week of science activities and workshops for this year’s campers. The Discovery Science Camp is designed to provide high school students with an avenue to explore science and technology beyond the classroom and develop an appreciation for it and its applications. On-site camp preparations began on May 31 and the camp officially ended on June 5, with a post-camp field trip organized the day after on June 6. ISIP partnered with Philippine Science High School Main Campus (Pisay) for this camp and generously agreed to help sponsor accommodations, food, and logistical needs. The camp was organized by a core team led by Robin Racela, the 2016 camp director. Aside from the core team, volunteers aided in the success of the camp. The volunteers came from different backgrounds – some were last year’s campers, some were last year’s volunteers, some were Pisay alumni, some were Pisay students, some came from other schools like St. Paul’s College Pasig and universities like UP. The campers began arriving on June 1, and the activities officially began on June 2. The campers came from all over the Philippines – from Samar, Catanduanes, and even as far as General Santos City – from both public and private schools, and from grades 7 – 10. The campers grouped together to design projects to solve problems they identified from their own experiences and the experiences of their fellow campers. They were guided by a step by step process for this project until their project presentation on June 4, where a panel of Pisay teachers and a panel of Filipino scientists, including Dr. Reinabelle Reyes and Dr. Mahar Lagmay, gave them feedback. Aside from their project pitch, they participated in an Agham-azing race designed to immerse them in the scientific method, listened to a science communication talk to help them with their presentations, and got their hands messy in DIY workshops. All these activities aimed to develop their appreciation for science and technology. They also developed camaraderie with their fellow campers through team building, night activities, and board games. Their camp experience was topped off with a closing ceremony with talks from Filipino USAID scholars and a night under the stars, literally. Even though the camp ended the next day, and the campers and organizers had to say their goodbyes, some of them remained for the field trip the next day. Those who remained toured the National Institute of Geological Sciences (NIGS) and Marine Science Institute (MSI) in UP, visiting labs and talking to researchers about their work. The tours concluded a week’s worth of activities organized by ISIP. ww.facebook.com/ISIPScienceCamp2016. Until next time campers! Integrating Science in the Philippines (ISIP) is an organization dedicated to creating opportunities and experiences in science, technology, and communication that will ignite curiosity, cultivate learning, and inspire service in the Filipino youth. For more information you may visit us our Youtube Channel – www.youtube.com/ISIPna or our Facebook page – www.facebook.com/ISIPna.